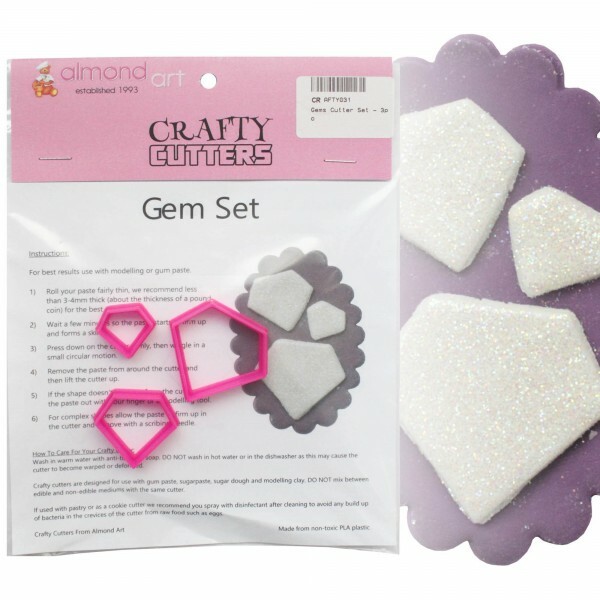 This set of gem cutters contains 3 graduated sizes of gems. 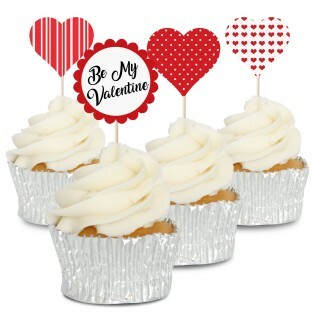 The cutters are ideal for valentines, engagement and wedding cakes. The graduated sizes also mean they're ideal for using as decorations, borders and for topping cupcakes. Add additional details by using edible ink pens, glitter, dusting colours and food paints. 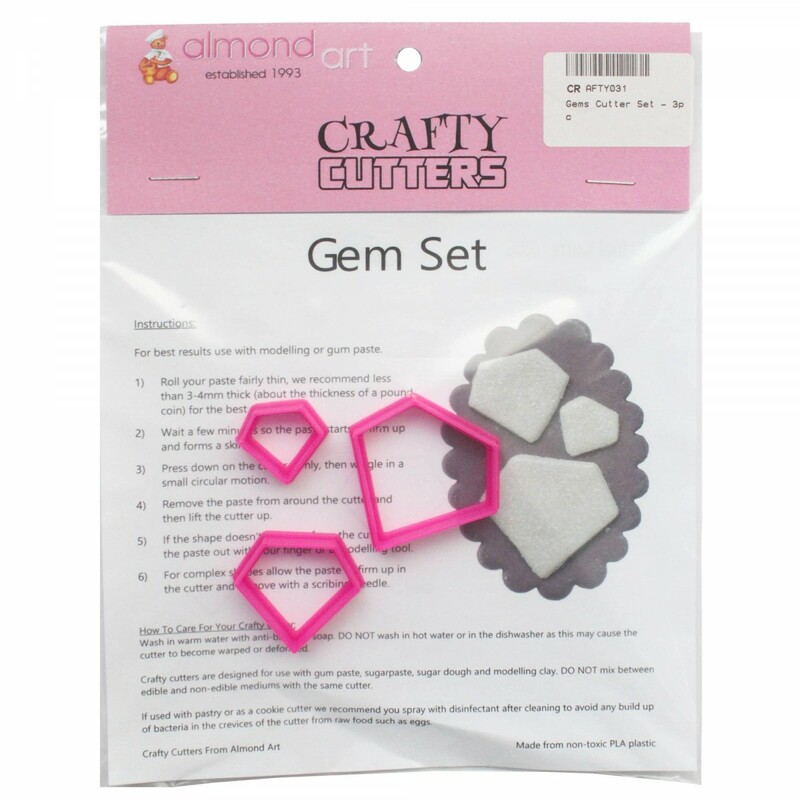 Crafty cutters are designed for use with flower paste, modelling paste, sugarpaste, sugar dough and modelling clay. DO NOT mix between edible and non-edible mediums with the same cutter. For best results we recommend using with modelling or flower paste. 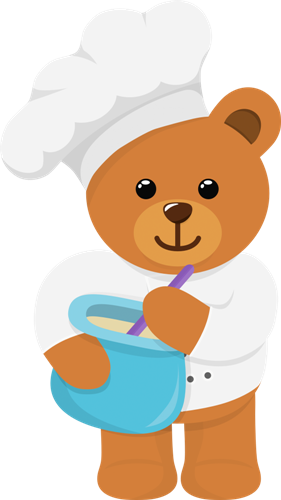 Roll out the paste to around 2-4mm thick on a lightly dusted surface (using icing sugar or cornflour). For some of the more complex shapes apply a small amount of white fat to the cutter to aid in releasing the paste. Allow the paste to sit for a few moments, press the cutter down firmly and then while keeping the downward pressure wiggle the cutter in a small circle. Lift the cutter up and remove the paste from the cutter. If the paste won't fall away freely remove using a scriber needle. Due to the manufacturing process these cutters do not have as sharp a cutting edge as some other cutters. Wiggling the cutter in a small circle while keeping downward pressure avoids frayed or burred edges.